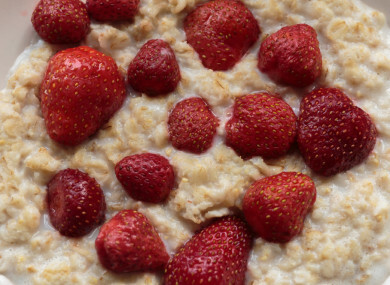 New research has shown that skipping breakfast might not have an adverse effect on a person’s weight. NEW RESEARCH HAS found that skipping breakfast doesn’t necessarily have an adverse effect on a person’s weight and calorie intake. Its findings show that breakfast may not, in fact, be the most important meal of the day – a widely believed and promoted stance. Research, published in the British Medical Journal, analysed the results of 13 randomised trials, mainly from the US and UK, which looked into the effects of skipping breakfast. Weight and energy intake were measured objectively at study visits in 11 studies, while the remaining two studies measured outcomes through participants self-reporting. The studies ranged in duration from two to 16 weeks when examining the effect on weight loss (with some trials also looking at energy intake). Trials exclusively looking at calorie consumption to examine the effect on total daily energy intake ranged in duration from two 24-hour periods or two eight-hour periods up to six weeks. Analysis of the results found there was a small difference in weight favouring participants who skipped breakfast (mean difference of 0.44 kg), but there was some inconsistency across trial results. Participants who ate breakfast had a higher total daily energy intake than those assigned to skip breakfast (mean difference 259.79 kcal/day), despite substantial inconsistency across trial results. The researchers said there were risks of bias in the trial, noting they only had short-term follow-ups (mean period of seven weeks for weight; two weeks for energy intake). As such, they recommended the findings be interpreted with caution. Spector said “reasonable evidence now suggests that skipping breakfast can actually be a useful strategy to reduce weight”. However, he warned there is no “one size fits all“. Spector said there are “several possible reasons, linked to traditional beliefs about nutrition” people believe skipping breakfast is bad for weight loss. He said this rationale was based on multiple studies, noting that the concept of over-compensation later in the day is correct, adding: “People who skip breakfast do eat more lunch and slightly reduce their activity — but importantly not nearly enough to make up the lost energy intake. The other reason that experts were misled was because multiple observational studies have shown that obese and diabetic people skipped meals more often than thin people. This mindset became ingrained in nutritional dogma. But these observational studies were flawed by bias. Spector said some people are programmed to prefer eating food earlier in the day and others later, something which may be based on our unique personal metabolism. “While waiting for guidelines to change, no harm can be done in trying out your own personal experiments in skipping breakfast,” he stated. Email “Breakfast may not be the most important meal of the day after all ”. Feedback on “Breakfast may not be the most important meal of the day after all ”.